This semester, Allen House RAs are putting huge efforts into promoting close relationship with their RC students. Each RA is carrying out his or her individual RC program exclusively for one’s own RC students. Since one or more individual programs were created by each of the RAs, more than eleven programs were created. Indeed, those programs not only projected individuality of the RAs but, above all, reflected their consideration and passion to build the close relationship with their RC students. Even though the themes of the programs differ from one another, all programs were designed in a way that RAs and RC students could have face to face conversation during the program. Until now, about six individual programs are already being in the process and about four individual programs are going to be held before the mid-term exam period starts. Among the six programs, the program called “기부하는 우리반(donating us)” run by RA Sangho Yoon not only promoted close relationship between RA and RC students but also helped the people in economic and physical hardship by participating in donating program called “나만의 천사 만들기 콘테스트 (Making your own angel contest)” hosted by 한국소아암재단(the Korea Pediatric Cancer Foundation). 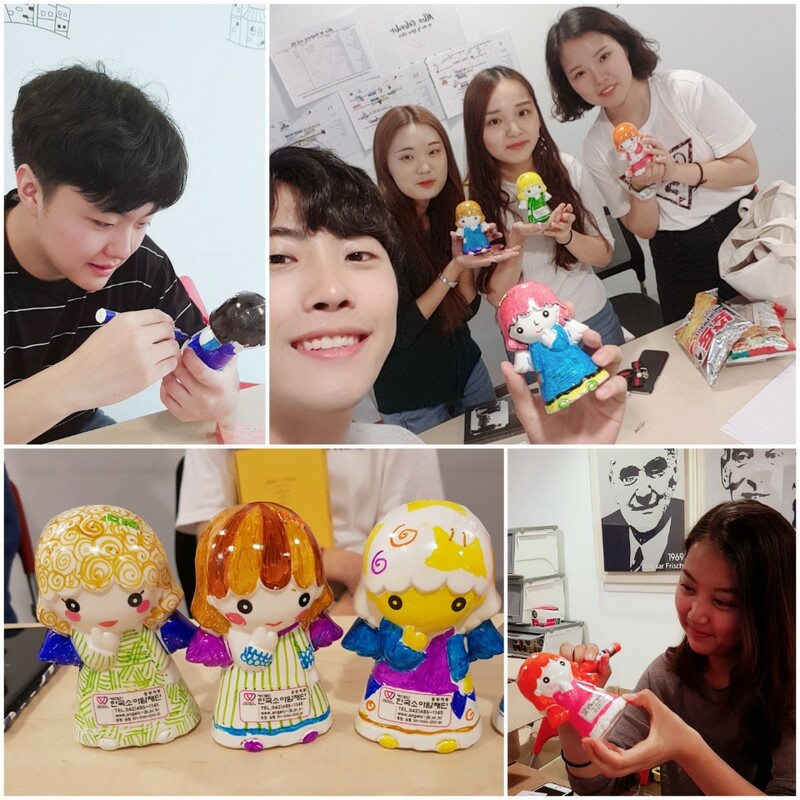 RA Sangho Yoon and his RC students decorated their own coin banks provided by 한국소아암재단(the Korea Pediatric Cancer Foundation) and had lively conversation talking about their school life and commenting on one another’s coin banks. Coins collected in the coin banks and brought back to the RC students’ rooms will be donated at the end of the semester. During the interview, RA Sangho Yoon expressed his joy that he was able to get close to his RC students and fulfill the motto of Allen House, “Rise by lifting others” at the same time. 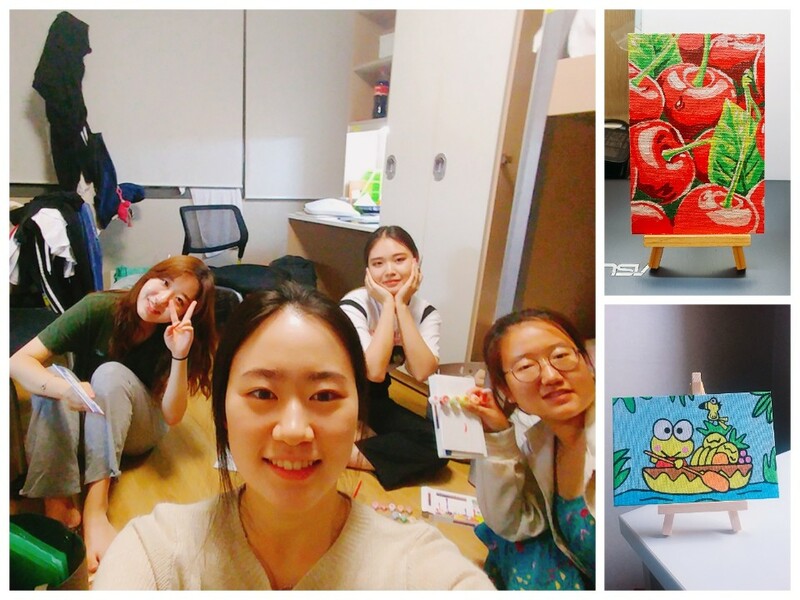 Another individual program, “알록달록 칠해볼렌(coloring Allen)” ran by RA Nawon Kim helped RC students relieve their stress by doing artistic activities as well as forming bond between RA and RC students. RA Nawon Kim personally visited RC students’ rooms with various kinds of puzzle paintings and had pleasant talks about the school life of the RC students, exchange student programs, human relationship, etc. By the end of the friendly conversation, according to RA Nawon, 3~4 beautiful puzzle paintings works were almost completed and friendly atmosphere was created as if they have had known each other for a long time. This program thus successfully fulfilled the ultimate purpose of the individual programs. According to the participants, the completed works displayed in on the wall of their rooms arouse their pleasant memory of having chat with RA Nawon Kim. Also, there are two of the individual programs focused on taking care of the health of the RC students during the semester. Considering that Songdo is extremely difficult place to stay healthy due to the high cost of healthy ingredients, high accessibility of delivery fast food, and unhealthy cafeteria food, RA Yoojeong Kim and RA Jonathan both decided to treat RC students some healthy food during the program and share their experience of taking care of their health in Songdo. RA Yoojeong Kim carried out the program called “My Health Diary”. As the name of the program hints, RC students created their own health diaries that contain their health goals and the rules that they need to follow to achieve those goals. After making their own health diary with mermaid paper and decorating their diaries with color pens, they set up their health goal and presented their goals in front of the group. RA Yoojeong Kim who wanted to show that one can make healthy dessert in Songdo by oneself, made smoothie without sugar for her fellow RC students and explained that eating healthy food in Songdo does not take too much time and effort at all. Drinking smoothie and decorating their diaries, students gave both worrying and considerate comments on one another’s health condition and even helped setting goals in more realistic and specific way. When one RC student presented his goal in front of everybody, the rest of the students cheered for his goal to be achieved and hoped that he would receive warm support in the process of achieving the goal. 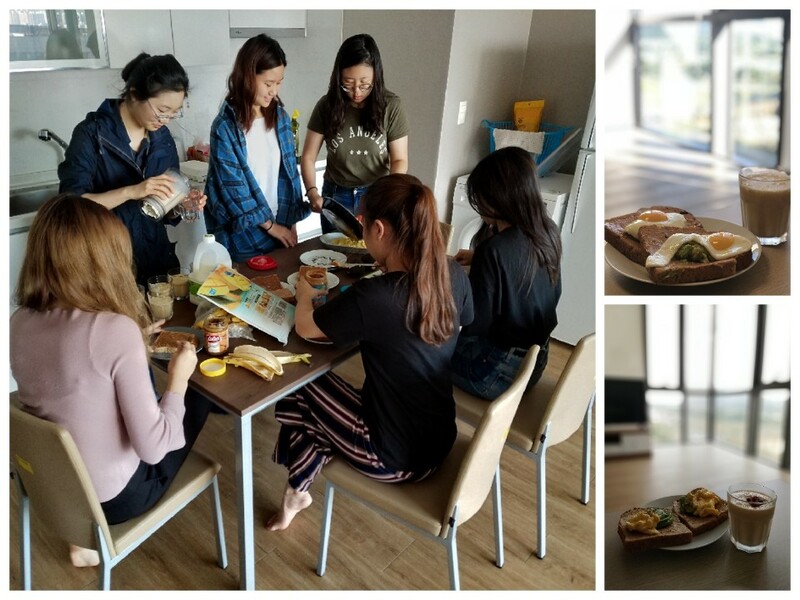 The RC students of RA Yoojeong Kim will gather once again before the final exam period begins and share their experience with the other RC students whether they properly followed the rules written on the health diary. RA Jonathan RA’s individual program called “나랑 건강 아침” is also related to the health of the RC students but is more centered on making their healthy food by themselves rather than setting their health goals or rules that they should follow to stay healthy. Since it is rare opportunity for RC students to make their meal all by themselves, RC students of RA Jonathan enjoyed the activity so much and spent a wonderful time eating the foods they made and had lively chat about their living habits, how frequently they eat breakfast, how their foods taste, etc. Other than the programs introduced above, there are many other individual programs that set their theme on the beauty, tea time, etc. Within the fruitful and meaningful theme designed by RAs, individual programs played the role of not only promoting close and friendly relationship between RAs and RC students but also forming the bond between the RC students gathered in a group to meet their RAs. What’s more, RC students are able to collect their RC points in a quicker pace this semester since RC students also get RC points from the individual programs held by their own RAs too. Up to this point, the idea of necessarily carrying out one or more individual program each has turned out to be highly successful in various ways; especially for promoting deep and close relationship with RC students and get close to them as friendly seniors from the perspective of RAs.